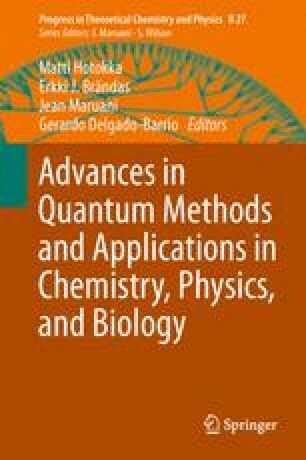 The biochemical aspects of communication have been investigated via an extended framework of original quantum-statistical concepts. The key idea develops from the notion of a so-called Spatio-Temporal Neumatic, STN, configuration, an open dissipative structure resting on the boundaries connecting micro-, meso- and macroscopic levels. In this category one finds de novo self-organization of molecular motion, enzymatic catalysis and the self-assembly of nano-structures all the way to biologically relevant processes like cell evolution, cellular neurobiology etc. The possibility to store and communicate coded messages in this enlarged organization is documented and recognized, unifying various proposals of theoretical understanding including in particular the law of Gödelian self-reference. It is demonstrated that intra-cell and inter-cell order leads to differentiation through a Poissonian modus operandi. The latter lacks intrinsic memory, but its statistical nature gives way to something non-intrinsic of teleonomic significance. Various consequences of this idea prompt a broadened notion of communication and information, generating encodable cell differentiation through cell quality value factors resonating through original communication channels accessible through Poisson statistics. It is shown that inter-cell communication is temporally dominated while intra-cell information is largely spatio-controlled. The nested (spatio-temporal) property of the “code of codes” extends from the genetic- through the socio-, ecological- and to the cosmological rank, while taking account of a more stringent and appraisable representation of the contemporary concept of a meme. The author thanks the organiser of QSCP XVII, Prof. Matti Hotokka, Åbo Akademi University, Turku for friendly cooperation, an excellent programme and outstanding organization as well as generous hospitality. The present research has, over the years, been supported by the Swedish Natural Science Research Council, the Swedish Foundation for Strategic Research, The European Commission and the Nobel Foundation. where the Liouvillian is defined as usual from the Hamiltonian H describing the system, e.g. the molecular configuration under investigation, i.e. Before proceeding to discuss open or so-called dissipative systems, which in effect are characterized as exchanging energy and/or entropy with its surroundings, one learns a very uncomplicated yet signifying lesson. The formulation above, that under certain optimal conditions, would develop Off-Diagonal Long-Range Order, ODLRO , displays a rather trivial construction, i.e. the diagonal elements of ρ is the probability p to find a pair in the state m, while the off-diagonal ρ kl is the answer to the question “what is the transition probability for a particle to go from the state k to l”. Since the preferred basis is localized on the various sites one could also “loosely” replace the state “k” with the site “k”. Note that this type of reasoning is non-classical in the sense that it is prompted by the general structure of the density matrix under the extreme form or the precursor to ODLRO. Normally one would think about electronic systems here, but it is equally appropriate to discuss mirroring dynamics in the nuclear skeleton, and e.g. model the nuclear degrees of freedom instead tracing over all the electron variables, for more on the mirroring mapping, see Ref. . Hence the present formulation is completely general as the quantum correlations incorporated here can be modeled as a means to describe propositional logics in a consistent manner that also includes a formal mathematical solution to the Gödel enigma [11, 12, 21]. Looking back, we have in fact carried out a sequence of steps, i.e. complex scaling and localized thermal fluctuations leading up to two orthogonal many-body functions, Ψ(g) and Ψ(g ∗), see Eq. (4.9) above. Thus the degenerate structure characterized by Eq. (4.23) is in actual fact not a standard quantum mechanical state as it does represent more accurately a sequence of successive transitions. It is an open spatio-temporal structure, which does not exist under a certain minimum “size” and lifetime, see Refs. [19, 24], with anomalous time evolutions and, as will be demonstrated below, subject to a (cumulative) Poisson-like statistics. A final attribute of far-reaching importance is the factorization property of transformation B as displayed in Eq. (4.12). As portrayed in the central part of the text there are many distinct realizations of STN structures to amorphous condensed matter in general and biological, complex enough systems in particular [11, 12, 13, 19, 24]. For instance describing cellular interactions and their various properties and differentiation, it is convenient to model each cell as an STN entity, based on tunneling proton pairs (quasibosonic degrees of freedom) as sites for the preferred basis. The dimension of the STN organization gives rise to a particular transformation B=B m where the associated factorizing structure of the vectors exhibits nested encoded programs, e.g. the genetic- and higher level codes, as will be pursued in the main script. The value of the “probability” p depends on the context, e.g. for the base pair system discussed in the main text the choice m=4M yields p=1/4, m′=3m, while the optimal value of the large eigenvalue obtains from m=2M, i.e. p=1/2 and m′=m. with the recognized polynomially perturbed time evolution of the propagator and the associated multipole expansion of its Fourier transform, i.e. Hence it has been demonstrated (i) that Eq. (4.31) suggests a Poisson-like statistics, see more below, and (ii) that Jordan blocks appearing in the generator of the STN teleo-dynamical system results in a non-decaying evolution law that supports microscopic self-organization. The total evolution, being non-statistical, with maximum information becomes “chaotic” when summing over all terms in Eq. (4.29). Note that any reference to statistics here concerns events where genetic code data is transferred between cells. who’s magnitude is essentially one for large m and |t|<τ. Equation (4.38) sustains the statistical response to the quantum-thermal chaos, for each cell C i , via collective intra-cell quantum-thermal correlations leading up to a cumulative statistical distribution. It is interesting to ponder whether the choice m=|4π|=12 carries any particular meaning, since it yields an almost critical case with λ=1.047, with P(0)=e −1.047 and P(1)=1.047×e −1.047, where the probability for one event of communication is larger than that for no event, being exactly the same for λ=1. In summary we have mapped the basic constituents of the cell onto an STN configuration, i.e. spatio-temporally structured on the electron-proton transfer molecular level of the gene. Examining cell evolution and cell differentiation, based on thermalization along with a degeneracy analysis, where the dimension of the largest Jordan block, m, defines the so-called Segrè characteristic of the degenerate level, one finds a particular type of statistics known as the (cumulative) Poisson distribution (4.31), (4.38). The number m∝ω 0 τ is essentially the cell’s Q-value factor, cf. its use in regard to quality aspects of an oscillator or a resonator. One can e.g. imagine the cell as a tuning fork coupled to a resonator or in the case of overdamping a “slamming door”. The factor 4π obtains naturally in the derivation and may be given a geometric interpretation as being related to space angle integrations. Note that standard practice usually gives the quality factor in terms of energy ratios times 2π.